A Grim Leecher's Spirit from Super Smash Bros. Ultimate. 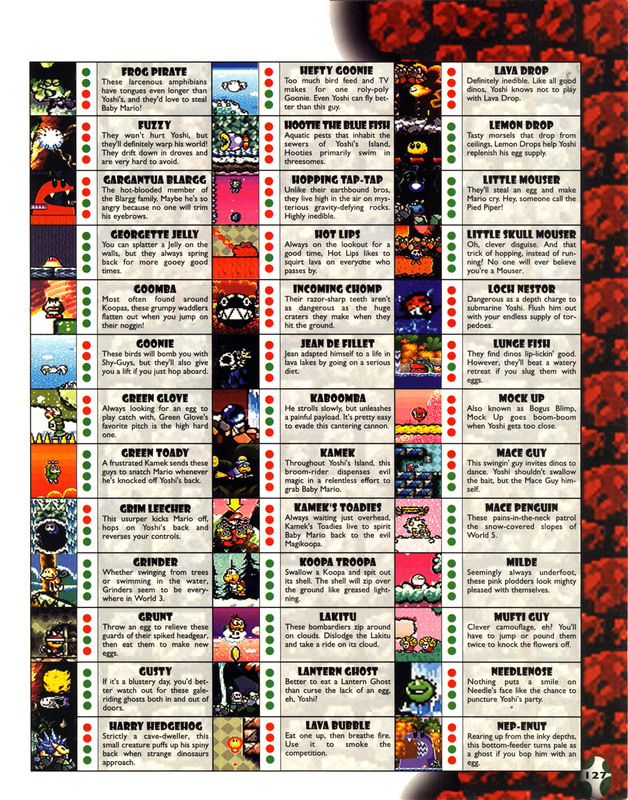 Grim Leechers (Purple Zombies in the pocket guide for Super Mario World 2: Yoshi's Island) are enemies from Super Mario World 2: Yoshi's Island, its remake, Yoshi's Island: Super Mario Advance 3, and Yoshi's New Island. 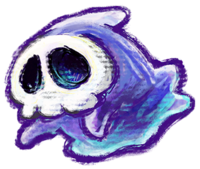 These enemies resemble purple ghosts with skulls on their faces, and their name is a pun on the "Grim Reaper" and "Leech". If Yoshi is a good distance from a Grim Leecher, they will wait until Yoshi comes near, and then hover towards Yoshi once he comes too close. If they come in contact with Yoshi, the Grim Leecher will kick Baby Mario off Yoshi's back and hop on. 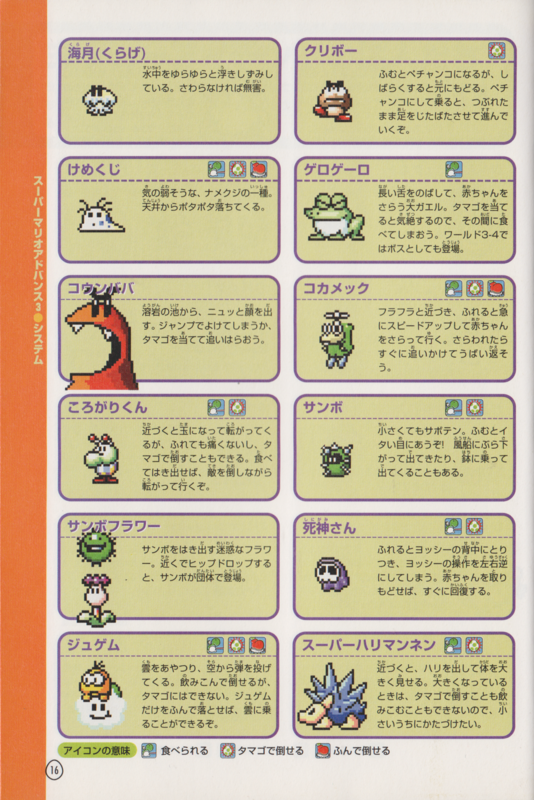 This will cause the game controls to reverse, and Yoshi will be colored pink, although in Yoshi's New Island the Yoshi will be colored purple. Yoshi can eat them to lay an egg, although, in Yoshi's New Island, they cannot be eaten. A Grim Leecher makes an appearance in Super Smash Bros. Ultimate as a Spirit. Spanish Polizontasma From Polizon (Stowaway) and Fantasma (Ghost). French (NOA) Funesto Pun on "funeste" (disastrous). Italian Malannetto Diminutive term of malanno (ailment). This page was last edited on April 13, 2019, at 17:07.